Is keep on bucking Failure till you’ve worn the piker out! “Failure is not an option.” Best known as the inspirational motif surrounding 1970’s famed Apollo 13 NASA mission to the moon and its perilous return back home, the motto could also serve as an apt metaphor for the Academic & Life Skills Counseling Department at the old Hewitt Center. With Keith Zimmer and Dennis Leblanc playing the role of Coach Experience in Grantland Rice’s poetic verse above, they daily strove for student success from their office locations in the bowels under West Memorial Stadium’s 50 yard line. Equal parts drill sergeant/social worker/Cub Scout Den Mother, Keith served the student/athletes as a guiding light in preparing and transitioning into life after college, readying them for the strange and eerie day of leaving the nest to make hay in the real world of cubicles, commutes and budgets rather than cornerbacks, coursework and blitzes. Let’s now transition to Keith, a man deftly focused on warding off failure in life’s future endeavors. Question: Keith, so many of the guys said that you meant a lot to them as student-athletes, and I’m really pleased that you’d take the time for a little interview. Keith Zimmer: Anything I can do to help. It sounds like a great project. Q: Well, let me start. You helped write a few books, most notably the one with Grant Wistrom and Jason Peter, how did you get involved in that? KZ: Well, those were things where the players wanted to do a book, and basically wanted to go to somebody they could trust and to have someone help structure the book and organize it and put it all together. It was really their book, but I was just the behind-the-scenes guy that helped organize it and make sure that it got done and in a timely manner and reflect positively on the players, as well as the university and the athletic department. It’s basically what you’re doing, interviewing the athletes. So many of these fans, they recognize the student/athlete for the athlete and the player and the uniform and helmet and jersey number, and they don’t understand all that goes in to representing Nebraska football, all the behind-the-scenes and the day-to-day efforts. So putting the human interest of the student/athlete out there is something people enjoy reading about. And it does justice to the players that way, as well. Q: So then you did the ‘Heart and Soul’ book, right? Q: So where are you from originally? KZ: Wayne, Nebraska. Northeast Nebraska. My Mom worked in education. She was a peer educator. My father worked in real estate: farm real estate, agricultural real estate. I had one brother, he’s almost two years older than me. So it was a good upbringing. Good values reinforced to me. Athletics was a big part of my life. That’s one reason I got drawn into working in college athletics; always enjoyed helping people and counseling and guiding people. That, along with my passion for athletics. So it led me to the perfect career of student/athlete counseling. Q: Were you a Husker fan as a kid? KZ: Oh, come on, Paul. Come on, Paul! (smiles) No comment. You know the answer to that. Q: Well, you had Wayne State there. Sometimes the local affinities take hold, you know? KZ: If you’re a Nebraska kid you grew up idolizing the program. That’s why it’s such an honor every day for the people who work there every day. When you walk through the front doors of Memorial Stadium every day, that’s just something you hope people don’t take for granted. They should feel very honored and have a lot of pride to not only help the students there, but really, you’re kind of an extension of the entire state. And just a feeling that a lot of people would like to have, just to be able to walk through Memorial Stadium for not just 6 or 7 days throughout the year, but something you do every day. And you’re not just supporting the team, but you’re developing men and women every day. And that’s the biggest part of what we do here at Nebraska. I came here to Nebraska to complete my Masters Degree and finish up doing my internship. So in 1987 I just showed up at the university looking to get practical experience and get some internship credit for it, and was lucky enough at the time that Roger Grooters gave me the opportunity to volunteer and accumulate some hours toward my degree completion. I did that for a little over a year basically as a volunteer, doing academic counseling with students on a daily basis. And after that year I felt like I needed to put my Masters Degree to work and hopefully get a paid position. I started to apply to a number of positions around the country and got a few offers, and luckily at that point Coach Osborne was able to convince Coach Devaney to create an additional academic counseling position. He saw value in some of the things I was doing with student-athletes, and another academic position was created in 1988, and I became full time with the athletic department. Q: What was the value that Coach Osborne saw? How was he tipped off to that? KZ: One of the new things that I brought with me was the emphasis on career counseling and life after sports, so that was something that was really emphasized in my graduate program and something I tried to get started in my first year here, doing some things with career development and exploration, resume writing and internships. I think Coach Osborne saw the importance of that and the value in getting athletes prepared for realistic career opportunities and life after football at some point. That was something that made our program, at the time, unique, and you knew that that would serve the program well and serve the players well. I think he liked that piece of it, and it got some attention and motivation to get the position created. Q: I’ll bet 25 years earlier when he was leaving pro football, it was something he would have liked…. KZ: Well, you know the good thing about Coach Osborne, he has always been education-oriented; that’s a big part of him, who he is. And having his Doctorate degree and being in education and teaching like he has, to have a guy like that as your football coach and then as your Athletic Director speaks well for people in academic and life skills, because you know you’re going to have his instant support. Q: Let me ask you, Keith, a lot of folks probably don’t have a solid idea of what the academic advisors do. Some may even think that you write the papers for them. (laughs) Can you give me a little insight? KZ: Well, right now, Paul, I’m not doing any academic counseling, but for about 20 years I was doing the day-to-day counseling. And basically you’re making sure the incoming athletes transition well into the 4 year college setting, so you try to prepare them for the academic survival and study skills so they can earn a college degree. There is the teaching of study skills and time management, making sure there is a passion for their academics and connecting them with their degree of choice, and just making sure they have the day-to-day support for a balanced division of academics with athletics, be that tutorial support, a mentor, study hall supervision, helping create communication between the student-athlete and faculty members -appropriate communication- so that they are monitoring and taking an active role in the process. And also the things alluded to earlier: the basics of making sure that they understand the importance of class attendance every day, being active and attentive when attending class, because all things contribute to their success academically. Q: What is the typical transition like for the kids? KZ: I would say that it’s a balance, a time management issue, just the study skills, that it’s a lot more intense. What you’ve done in high school or junior college isn’t going to get you fully prepared, and it‘s a little different ballgame. Just like it is on the field, everything is accelerated and the expectations are a lot higher, and what you did in high school athletically or academically won’t be enough to have you achieve at a high level at the collegiate level. Q: You helped them learn a healthier respect for regimentation, setting and following a set schedule? KZ: Yeah, the consistency, the accountability, and really just having a good attitude, being respectful to everybody that you work with, and taking advantage of the unlimited support available on campus and in the athletic department. Because part of that comes from having a realistic perspective and value of where athletics is going to take you; not just putting all your efforts and energies into becoming a professional player, but recognizing at the same time that you have to place equal effort into your schoolwork and your career outside of athletics. If you have that well-rounded perspective typically things work out pretty well for you. Q: Let’s say you have a Parade All-American coming in and they feel they’re on the fast track to the pros. How do you engage them to also take their studies seriously? KZ: Well, I think the first thing you have to do is support their goals athletically, you’d never want to discourage somebody’s dream if they want to play in the NFL. You tell them, ‘You know what, that’s a great goal. We’re going to support that and help you become the best player you can. But in combination with that, in order to continue as a collegiate athletically you have to perform academically. And Nebraska’s #1 goal is to see you earn a college degree and graduate, and hopefully that’s a goal that you have and that your family has. 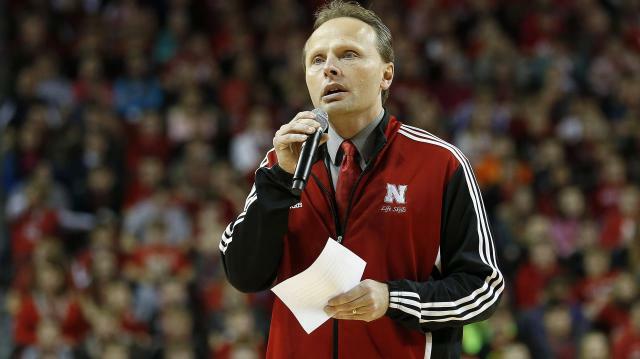 Nebraska would not be doing you justice in following through on how we recruited you if we didn’t work tirelessly to help you earn your college diploma.’ Again, you have to support their athletic ambitions, because if you squelch that and discourage it you’re going to create some tension in your working relationship and that wouldn’t be real positive. And, of course, the football coaches aren’t wanting you to do that either; they want you to support athletic aspirations. So certainly the joint end of those goals is to encourage them to be balanced with other goals and also to be realistic. We use statistics, show what the statistics are with the NFL: even if they do advance and beat the odds it’s not going to be more than 3 to 4 years on average. So you just try to give them some numbers and be encouraging and be as positive as you can.